We are happy to invite you for the start of new session which will take place at 25.10.2014, 20:00 GMT+1! Expect massive content added, many new features and needed fixes! Bring your freinds and have fun! Welcome to the official FOnline2 game website. We hope you like it. Click here to read what is our game about. Spread the word! Like our official facebook page and subscribe to our youtube channel. 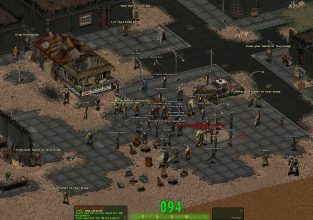 Most of all enjoy the Fallout MMO experience!